As cities across the globe take action to reduce the amount of plastics in recycling systems and landfills, Toronto is gearing up to take another look at its plastic-reduction policies. As cities across the globe take action to reduce the amount of plastics in recycling systems and landfills, Toronto is gearing up to take another look at its plastic reduction policies. "We should be looking at more mechanisms, other powers, to reduce plastic that is ending up in blue bins and in our garbage bins and going to landfill," said Coun. Mike Layton, who represents Ward 19, Trinity-Spadina. "It's not only bad for the environment but it's costing the city money," he said, referring to products like plastic shopping bags, drinking straws, take-out containers, water bottles and cutlery. Layton and Coun. 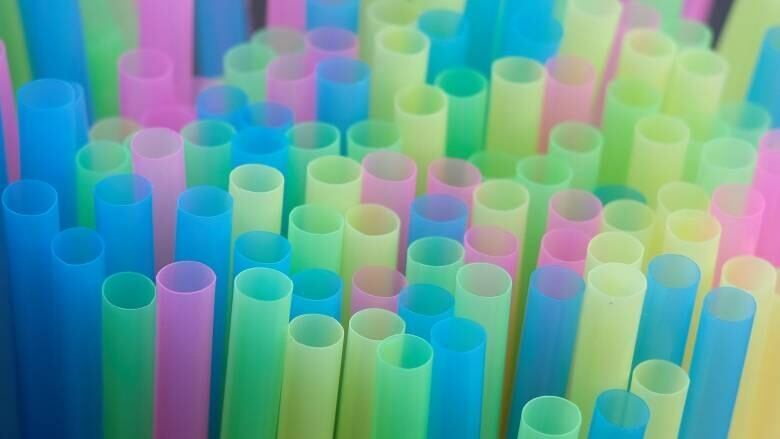 Mary-Margaret McMahon, who represents Ward 32, Beaches-East York, sent a letter to council in January urging swift action to reduce the over-consumption of single-use plastic products. The letter was referred to the public works committee and city staff are preparing a report to examine the ways in which the city can address the issue as part of its long-term waste reduction strategy. The report, due in July, promises to re-ignite a heated debate over a contentious issue that pits industry, consumers and environmentalists against one another. Layton hopes the city will recommend a ban on single-use plastics, consumption fees or a requirement that companies be responsible for ensuring their products are recycled properly. "Taking a strong stance like a ban, or taking steps to get to a ban is where we want to be if we want to show leadership on the issue," said Layton. Emily Alfred, a campaigner for the Toronto Environmental Alliance, told CBC's Metro Morning Wednesday that she's encouraged by trends elsewhere. "It's happening around the world and it's really a symptom of the fact that we've got too many single-use plastics," said Alfred. Montreal banned plastic bags -- how about Toronto? Toronto has a checkered history when it comes to plastic bags. It became the first Canadian city to require retailers to charge customers five cents for plastic bags in 2009. But then came Rob Ford. At a meeting in June 2012, the former mayor urged councillors to get rid of what he labelled the "bag tax." Council voted to remove the fee, but, in a surprise move, immediately reversed itself and passed a motion to ban plastic bags outright, making Toronto one of the largest cities in the developed world to do so. But after continued pressure from Ford and a legal challenge from industry groups, councillors backed down in November 2012, voting 38 to 7 to nix the ban just over a month before it was meant to go into force. Since then, there has been a lack of action on the file while other Canadian cities move forward with aggressive actions to get plastics out of the hands of consumers. 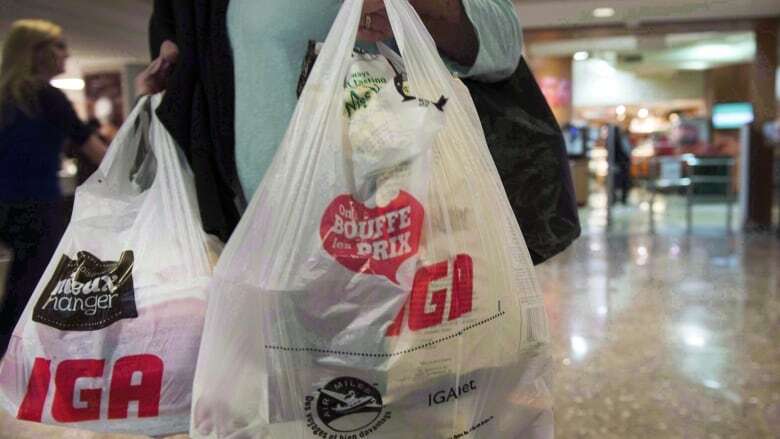 Montreal began enforcing a ban on plastic bags on June 5, threatening non-compliant businesses with a $4,000 fine. Victoria is preparing to implement a ban on plastic bags in July, and Vancouver recently voted to ban plastic straws and some other single-use plastic containers beginning in 2019. A CBC News series published this year found changing lifestyles have led to flatlining recycling rates and rising costs for municipalities.Toronto's recycling programs struggle to handle the plethora of different types of packaging — mostly plastics — that they were not designed to deal with. Plastics are difficult to collect and recycle, and bring in less money when they come out the other end. Many plastics that are not recyclable in conventional plants are making their way into blue bins, which causes contamination. Gary Sands of the Association of Independent Grocers opposes an outright ban on plastic bags, saying there are other alternatives. He points to a 2007 initiative that brought together retailers, industry and the provincial government to reduce the use of carry-out plastic bags. The Ontario Plastic Bag Reduction Task Group used a voluntary model and achieved a 58 per cent reduction, according to a progress report from a year later. "The voluntary model that exists in Ontario and in other provinces has been shown to work," said Sands. "It has achieved and exceeded the targets that have been set, and we continue to abide by the spirit of those agreements." Alfred, the environmentalist, doesn't believe companies can be relied on to voluntarily reduce the amount of plastic. "The system we have right now is relying on the goodwill of companies and the goodwill of individuals, and it is not enough."